Once you pay the fee, you will be directed back to the page to fill out the super easy, super short application. Once you submit your application, you will be notified no later than two weeks prior to the event. If you wish to apply within minutes of the deadline, you may. We will notify you within 24 hours. Upon approval, you will be required to pay the $35.00 space fee. We do recommend Applicants apply 10 days prior to the event for optimal space and consideration. The booth fee is $35.00, once approved; we will fill you in on the details. Tables and chairs are provided for this event. The display should not exceed a 5 foot space, indeed there are a great many crafty ways to make your display stunning within said bounds. Please see http://thecraftyunderdog.com/artists-madcrafters/ for a visual understanding, or contact us at any time with any questions you may have. 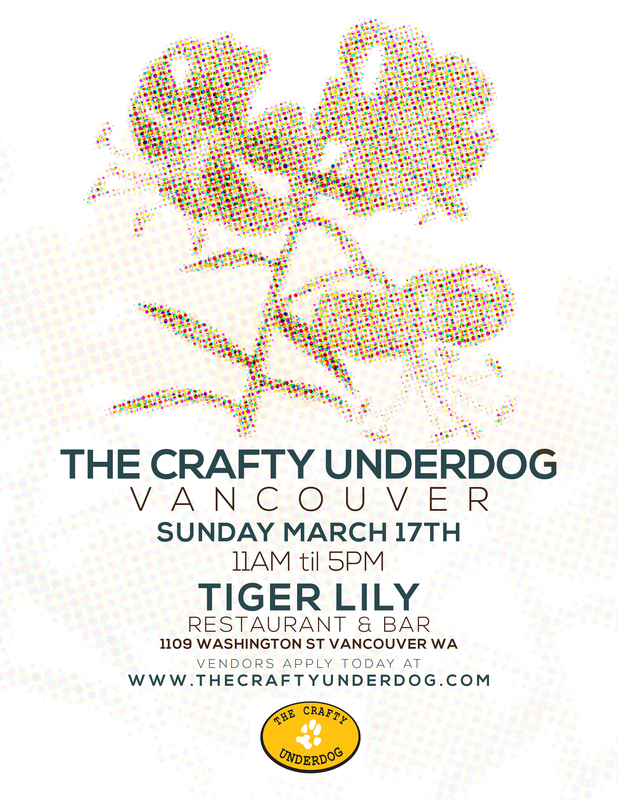 We thank you again for your application, support, and interest in The Crafty Underdog.